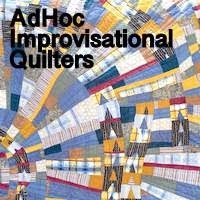 I am itching to get going on something for the new AHIQ challenge, but have learned my lesson about multi-tasking: fine in most of life but a disaster for me in quilting. So I am carrying on with my not-at-all-red Night Birds. I have started making a couple of new bits to add into the mix. The first is not so much new, to be fair, as just a tweak. I am making some geese in reverse, that is with dark middles and light edges. I don't envisage using many of these but maybe they will give me an extra option when I want a lighter area. They're made of scraps too, so really, what have I got to lose? These are the other new addition. Like the additions you are making; I am working on too many things right now--I get muddled--one at a time usually for me too. Kaja, I notice that you often put your quilts on this floor to photograph. Is it a dedicated quilt floor where you can leave the pieces as you work on the quilt or do you have to pick them up after photographing? I was just thinking how hard it would be to get all the pieces settled then have to move them. I like your start with this quilt, especially the stars. I too was wondering about you designing each piece on the floor. I would imagine you don't move it?? Another fabulous scrap quilt designed by your clever imagination. Loving those stars! I have to check out the new challenge. I can't handle very many either. In fact it's only recently that I've gotten brave enough to have more than one quilt going at a time. I wanted to jump right in with something red too. But, like you I decided to finish up what I'm working on first. I am trying to finish the map challenge piece. I've got to finish one of the challenges before I start another. . . I like the flying geese units. LOVELY -- and I want to play with the reds, too but am determined to finish a couple of things that are stalled first. More time to contemplate ideas! I must have missed the post for the new challenge. I am liking your new bits and they look really good with the other elements. Wow! I love this! The bright colors really pop. That arrangement on your floor looks gorgeous. I like the strong value range of this quilt and agree with Yvonne that the dark geese look like tents. And the long strips your making of similar blocks look so good. I really do love that bird fabric, haven’t you used a similar fabric before? Another beauty in the making! Splendid progress and I love those yellow strips, they really pop. This is splendid! I love those golds and yellows; they really make it shine.